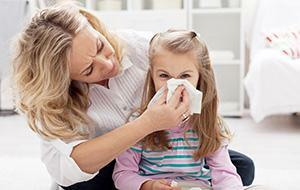 When your immune system is run down it’s easier to catch colds and the flu. And there are so many factors that play into a reduced immune system: Excessive exposure to toxic substances (like cigarette smoke and insecticides in food and water), poor diet, excessive stress, etc. And when the body’s immune system is run down, free radicals break down cells making the body more susceptible to bacteria and viruses. There are preventative measures, though, that can be taken to help keep your body’s immune system strong. One preventative measure is diet. Foods rich in antioxidants boost the immune system. Why and how? Because antioxidants are essential to optimizing health by helping to fight the free radicals that can damage cellular structures as well as DNA. Broccoli, a nutritional powerhouse, contains glucosinolate phytonutrients that help support the body’s detox process, including activation, neutralization, and elimination of unwanted contaminants. Garlic contains allicin—a compound that helps fight against bacteria and infections. In studies conducted where participants took either garlic supplements or placebo during the cold season, those who took garlic supplements had fewer colds than those who took placebo. Green tea is loaded with ingredients that help ward off disease. Some ingredients include flavonoids, vitamin C, and zinc. The combination of flavonoids and vitamin C offers ten times the power to help keep colds and the flu at bay. Pumpkins are chock-full of beta carotene—a nutrient that the body converts to vitamin A. Vitamin A may aid in development and growth, may improve immune function, may prevent some types of cancer, and may reduce the mortality rate from measles.